While under my care, patients can be assured that I will personally be the one to conduct an examination, make the diagnosis, follow the case, and perform the surgery, when surgery is appropriate. Dr. Mark Henry earned the Top Medical Graduate award from Duke University in 1992 (ranked a top-three medical school) and the nation’s highest score on the 10-year maintenance of certification examination in 2011. 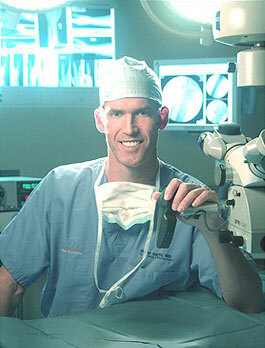 With over 20 years in the specialty and the experience of 26,000 surgical cases, Dr. Henry has been called an “internationally acknowledged expert” by his colleagues, generating more than 130 peer-reviewed publications and presentations in the world’s leading textbooks, journals, and professional societies as well as serving on three major editorial boards. At the Hand and Wrist Center of Houston we only treat conditions of the hand, wrist, forearm, and elbow, ranging from the most complex microsurgical reconstructions to relatively simple procedures such as carpal tunnel release. We care for more patients with these conditions each year than many surgeons see in an entire career. Contact the friendly staff at our Medical Center Clinic to arrange for care. If you suspect broken bones, dislocated joints, lacerated tendons, lacerated nerves, infection, animal bite, or have an open wound anywhere from the fingertips to the elbow, then call us immediately at (713) 333-4477 – 24 hours a day – 7 days a week. Dr. Mark Henry is a true healer; the finest most competent doctor I've ever encountered. I am forever grateful to Dr. Henry and the entire staff for saving my finger and facilitating my complete recovery with grace and seriousness of intent. Thank you. Dr. Henry brought me peace of mind about my ganglion cyst recovery, and made the entire process of getting the cyst removed easy and manageable. Very happy I came here for the surgery, etc. I appreciate the expertise and experience of Dr. Henry!!! I know I had the BEST hand surgeon!!! Dr. Henry and his staff are phenomenal. Dr. Henry has a gift for not only treating health issues extremely effectively, but he is extremely thorough and very efficient at communication and explaining everything he is doing and all of clearly outlining your options for future procedures. Thank you for repairing my injury and being kind in the process. The staff and the Dr. are very helpful and understanding .I have not yet seen a better staff like this office . I will recommend any one here . Dr. Henry was very informative about the treatment and staff was pleasant. I couldn't be more pleased with the level of service I received while in Dr. Henry's care. The level of detail in which my injury was explained and resolved, and the level of competency that was displayed throughout the healing was truly outstanding. The doctor and staff are the best I have ever had. Very professionalism at its best. best place for treatment of hand and wrist problems. Dr. Henry was recommended to me by a friend who is a medical care professional. I am really happy with my experience. I always knew what was going on and over time got to know the staff based on how many times I've been here. Most importantly, I feel I got the right treatment for my injury. The staff is nice and everyone is up on the treatment. I feel confident that I am getting the best care and am glad I came here. the whole group was very good, I had an excellent experience. Dr. Henry was able to salvage my hand to make it usable again. I have already sent my Father here and he no longer has any pain in his wrist. Thank you for sewing me back together and guiding me through my recovery!! !